Having long, thick hair is well and truly overrated, at least for me! Don't get me wrong, it gives me so many options when it comes to styling and it looks amazing when my best friend and hairdresser Sophie has styled it after a trip to the salon. However hairdresser I am not and I cannot recreate those curls that she so perfectly creates, not to mention it's ridiculously hard to maintain, so I often find myself wishing my hair were a litte finer or somewhat shorter but then we always want what we don't have! I'm pretty sure that's built within us! You see, my long thick hair is naturally wavy at the roots, the kind of wavy that takes forever to straighten out, the kind of wavy that doesn't look good left undone, so in order for my hair to look even a little tame, I have to blow dry and straighten my hair pretty regularly, resulting in incredibly damaged and split ends! I have to admit I am guilty of mistreating my hair, not only do I use a lot of heat styling, I don't fret if I can't find my wet brush, I will quite literally pull my hair out with a hairbrush and I don't use hair protection or treatment products anywhere near as often as I should! You may remember me raving about a genious little product called Marula Beauty Oil back in May last year (you can see that post here) which I still swear by and use during my skincare routine as well as to reduce the appearance of my stretch marks. Well this time I am back with another product from Marula UK, the Marula Deep Moisture Hair Mask*. When I was contacted by the lovely Iran from Marula UK and asked if I wanted to review the Deep Moisture Hair Mask, I was overjoyed at the hope of a product that could finally make my hair more manageable but what I didn't expect from this product was immediate results! Just like skincare, I like to test out hair care products on my hair for a good few weeks to see the true effects but even after the very first wash I noticed an amazing difference in the condition of my hair and how much easier it was to style, it finally felt healthy and dare I say it, easy to manage, ok, I said it! The Deep Moisture Hair Mask* (£24) by Marula UK contains antioxidant-rich Pure Marula Oil which absorbs quickly and locks in moisture. The high levels, 70% to be exact, of Oleic Acid which can be found in fats such as olive oil and avocados, enables the Pure Marula Oil to penetrate the hair shaft along with Keratin Amino Acids and treat it from within, working deeply to repair and hydrate it, providing deep conditioning and improved strength, making hair healthier, shinier and more manageable. When applying the deep moisture hair mask, I like to wash my hair twice to ensure I rinse out any product build up, dry shampoo is a necessity with a toddler, I then apply this mask liberally to my ends, working the product up my hair and up to my scalp. I leave the mask on for the recommended 5 minutes while I cleanse my face or exfoliate and if I'm having a pamper evening I'll apply it for around half an hour whilst I have a soak in the the bath. I ensure that I use my wet brush whilst the mask is on and again when I've rinsed the product out with warm water to ensure there are no knots or tangles. The ColorDefend technology which locks in colour, also cuts down drying time which is amazing for me as being a mum means I just don't always have the time to dry my hair and my hair is so hard to manage if I leave it to dry naturally! So is it worth a try? This luxurious mask really is worth the splurge! I have noticed such a difference in the overall condition, appearance and manageability of my hair since using this mask. 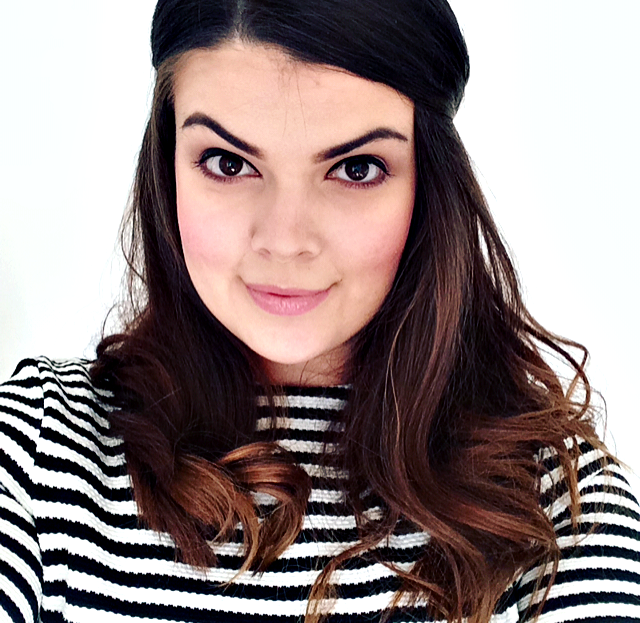 From the very first use, I noticed that when it came to styling my hair, my hair felt amazingly soft, my ends felt noticeably smoother, it was amazingly so much more manageable and it looks so much healthier and shinier! I was so impressed that I actually asked the OH to feel my hair, of course he nodded, smiled and agreed but I couldn't stop feeling my hair, it hasn't felt this healthy in years! 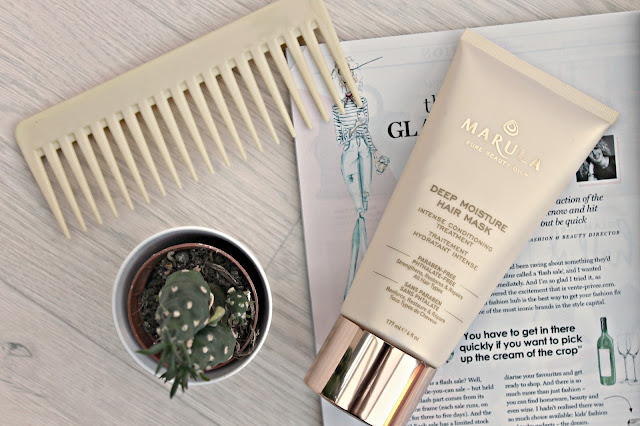 Have you tried the Marula UK Deep Moisture Hair Mask yet?